Running Press Adult, 9780762456161, 512pp. Dieselpunk is an aesthetic within steampunk that explores the decadence of the Roaring 20s, the excitement of the World's Fairs, and the dystopian struggle for survival of the World Wars. Dieselpunk keeps all the adventure and eccentric inventions of steampunk while blending a 20th century past with a fantastic future. 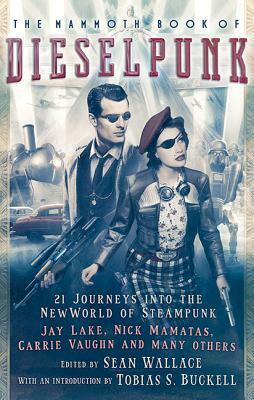 In this new collection, Sean Wallace presents a new collection of exciting stories by established and upcoming steampunk authors. Sean Wallace is an editor, author, and founder of Prime Books. He lives in Rockville, Maryland. Readers wondering where dieselpunk and steampunk diverge will find examples aplenty in this collection of 21 alternate histories. Tobias S. Buckell introduces dieselpunk as the grease and noise and We Can Do It' posters” of the interwar period, marrying Machine Age concerns to Art Deco aesthetics. This basic framework supports an excitingly diverse array, with stories spanning the globe and narrated by journalists, factory workers, soldiers, robots, even a dragon...Offering an examination of how technology affects our humanity, this collection is a mix of the entertaining and the thoughtful.